Provided many cut flowers this past garden season. 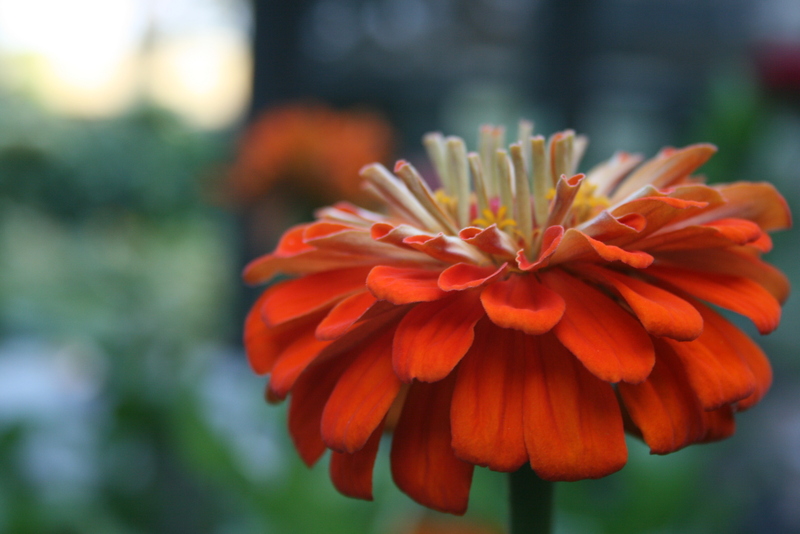 Zinnia’s add such a punch of color. Zinnias are among my favorite garden flowers. So easy to grow. Great in bouquets. Beautiful. And remind me of my childhood. I need to try those again someday in my future garden….great shot! Try some of the Queen varieties…they are wonderful! I love the bright colors of zinnias…they are so summery. ahhh, summer is right. Our highs next week will just get above zero. The photo makes me begin to yearn for summer…and it’s only January, of course! I, too, love zinnias. They are such an old fashioned flower and they are always cheerful! I know….struggling through this month–bitter cold arriving tonight! I will be reading my seed catalogs and making lists.